Mirko an Italo Canadian born in Toronto has always been passionate about wines ever since he was a little kid making wine with his father. 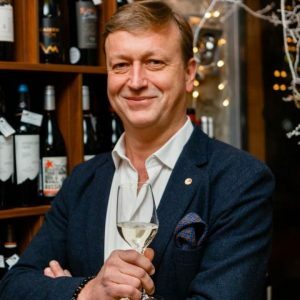 In the early 2000’s he started importing wines into Canada from Italy and slowly started to grow the business to expand into the USA and to most Northern European countries and as far as Australia. Mirko’s decision to establish himself in Tuscany in 2008 made it possible for him to be closer to his partner wineries and experience first-hand all the amazing possibilities this great land had to offer. 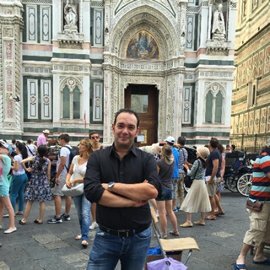 In 2011 he started doing tours for the many clients requesting that he show them, the amazing countryside, cuisine, art history and architecture that Tuscany has. As it has become Mirko’s back yard we’re sure you’ll be very well taken care of. Serge an American born of Ukrainian origin became passionate about wine at an early stage in his life growing up in upstate New York surrounded by many Italian immigrant families making their own wine, but even more so when he settled in Italy in 2005. He quickly saw an opportunity to export Italian wines to a rapidly growing Russian market. In the years Serge has expanded his markets to most of the Eastern European countries. Serge is a down to earth person who is knowledgeable in many aspects of the wine biz but most of all a lot of fun! He’s looking forward in making your stay in Tuscany a memorable one. Matteo born in Florence comes from a long history of wine makers, he is 4th generation!! OK, ok he is the real wine expert in this group!! Matteo has quickly became as internationally recognized as his famous father at a very young age. 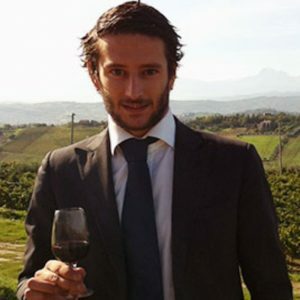 Matteo and his family are wine consultants to over 50 wineries from north to south Italy. Matteo oozing passion is demonstrated by the great coordinated quick movement of his hands and his sole speaking language, Italian!! But somehow, he always makes himself understood. He’ll be waiting for you in our grand tasting room next to his laboratory so that he can show you exactly how wine is made, but let’s not forget that after all that he’ll welcome you downstairs to his private cellar.